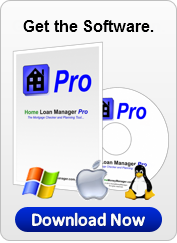 This Mortgage Audit Software will show you how you cut years off your mortgage, and protect the thousands you pay in interest each year from expensive lender mistakes. 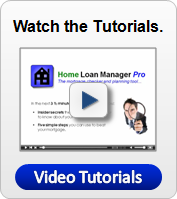 This tutorial will show you how Home Loan Manager will help you with your mortgage and loans. or, scroll down the page to read the tutorial. Maintain a complete and accurate record for each of your loans, including interest rate changes, statements, and all types of transactions (extra repayments, fees, taxes, interest charges, etc). 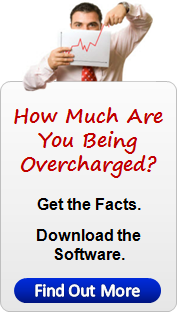 Instantly find out how much you've been overcharged, and protect yourself from future lender mistakes. Once you have loaded your loan details, it takes seconds to check your entire mortgage history for errors. Get an instant picture of what your loans are costing you, statement-to-statement and year-to-year, by automatically grouping and categorizing the transactions on your statements. 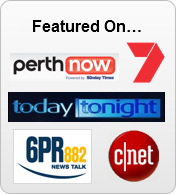 Once the planning reports have shown you how much you can save, simply lock in your target loan term, and your payout plan will keep you on track every step of the way by showing you exactly what to repay.